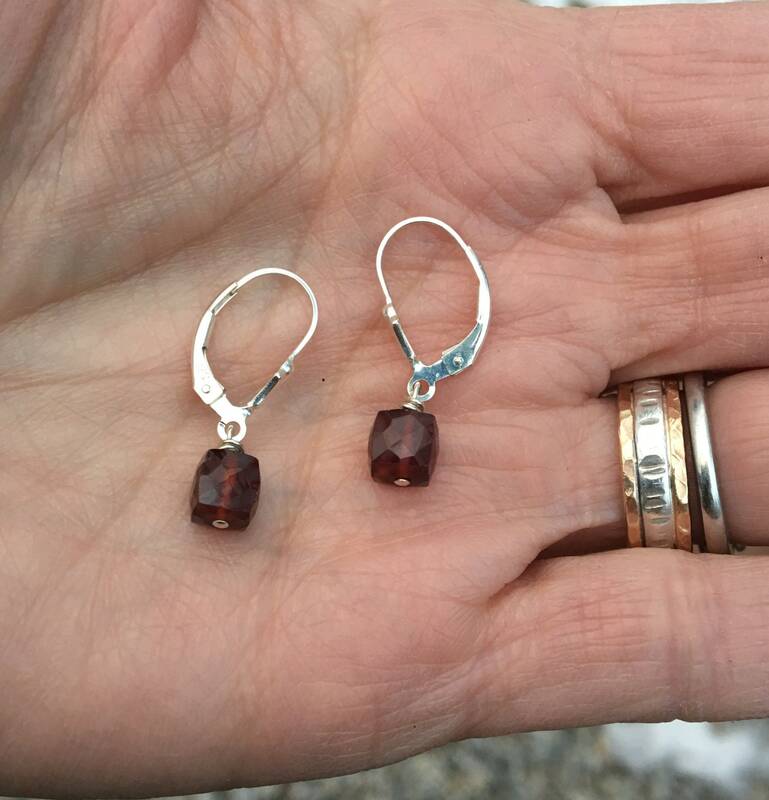 These faceted garnet gems are hand wired in sterling silver. 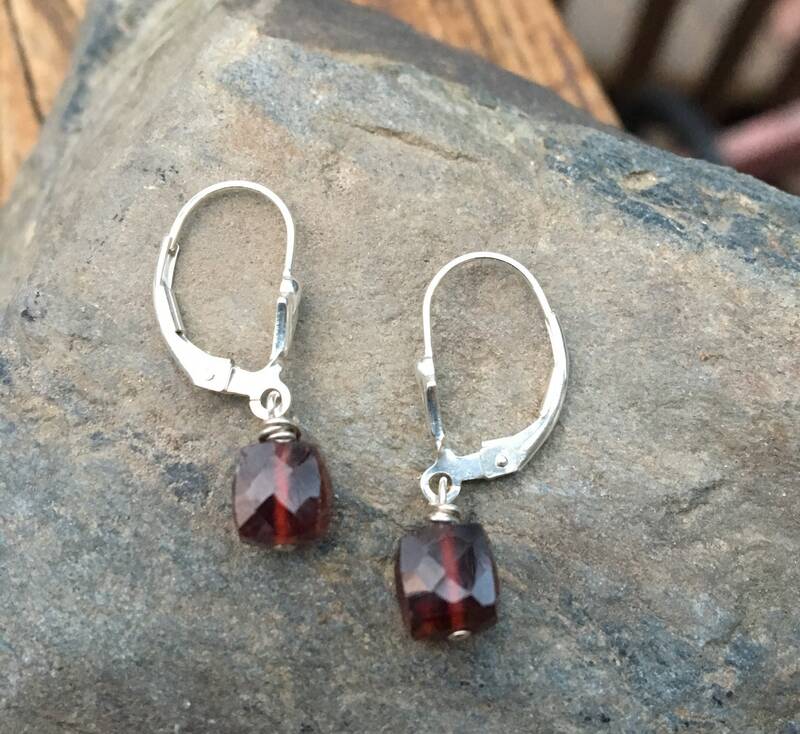 The facets on these garnets reflect the light beautifully. 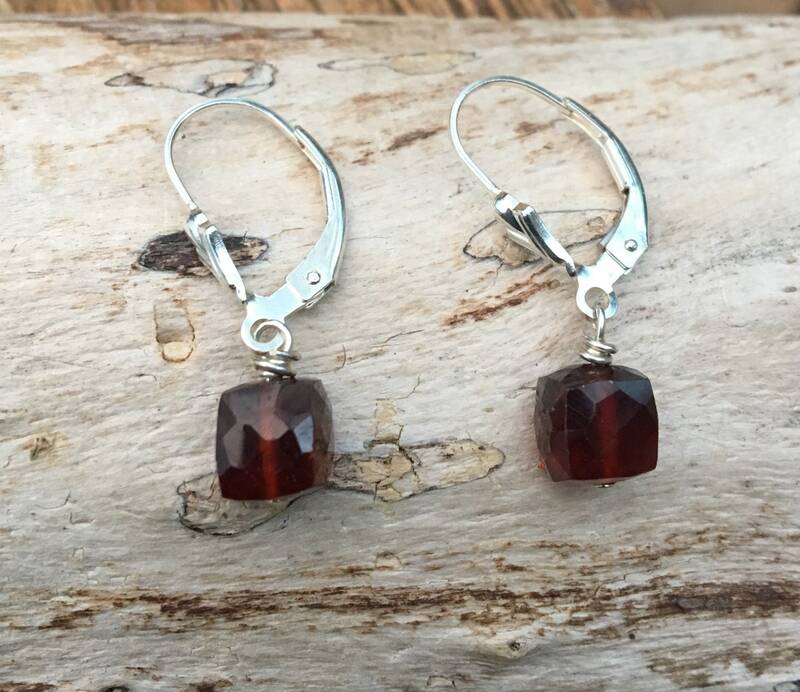 These are the perfect earrings to wear everyday! 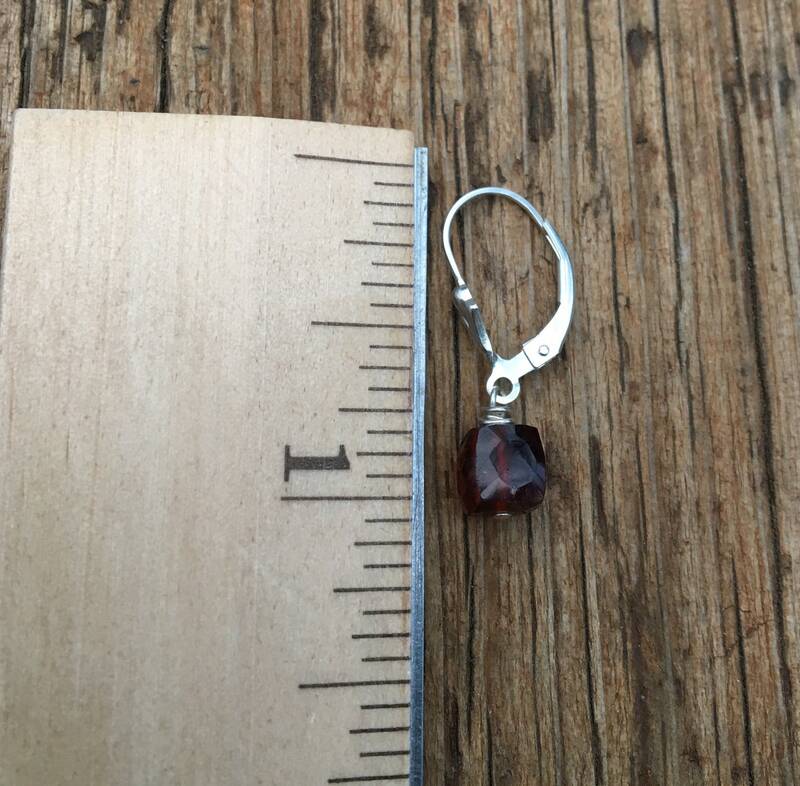 Available with lever backs or regular earring wires.